Sometimes for the sake of the business, it becomes essential for you to include good client recommendation on your website. This not only gives you better business but also increases your client’s trust in you and your business. By default, you cannot add the testimonial carousel slider to your website, but you can definitely use some great WordPress plugins to get the job done. An adequate testimonial slider WordPress plugin, when used to publish positive reviews on the website, can bring you steady traffic and a lot of conversions, too. Whether you wish to display testimonials in a grid format or a slider, there are plugins that can fulfill your requirements within minutes. On top of that, it’s even easier to use such plugins and enhance the entire appearance of your site. But, how? Before heading towards the steps of adding the testimonial slider to your website, what you need to is, add client testimonial in your site as a custom post type. You can create it yourself, or you can even make use of different WordPress plugins for the same. This article specifically talks about how you can create testimonial sliders and why you need them for your website in the first place. Adding a testimonial showcases the bond that your business has with the existing customers and also reflects their attitude towards your product or service. 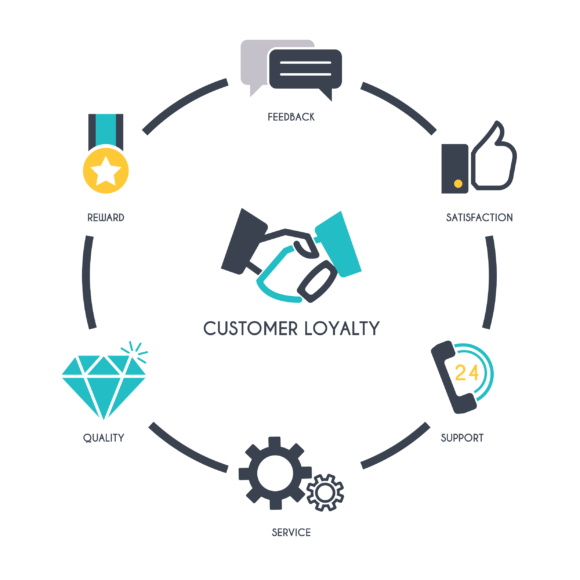 Loyal clients bring other customers which thereby help you to expand and grow your business. They don’t stop using your goods as services if your business is going through a bad phase. You can readily avail these benefits by simply adding their testimonials on your website. Thus, a testimony can do a lot more to the growth and overall performance of your business than you think. This technique of Referral Dress Rehearsal is a smart move of appreciating other products in order to collect appreciation and kind for your products and services. It might seem quite cheap to show off your goods and services which gives a sense of discomfort to the consumers. However, publishing others’ testimonials, that is the reviews of your existing customers, will surely help you to collect some referrals as well. It is undeniable for you to ask for permission before showcasing a client’s testimonial. However, when a client gives you a testament, they don’t tend to craft them into the corporate world language but keep it very simple and sorted. They usually talk like ordinary people who would express your extraordinary selling proposition and distinct in everyday language. Keeping the language simple will resonate with ten people. Use the language from the testimonials in your other market text as well as this will simply honor your customers along with giving them a feeling of trust and belief. When other companies give you their testimonials, it’s your chance to grab more data and information. Furthermore, this will facilitate you to communicate with other clients which will help you in expanding your vision and mind, which in turn, can help skyrocket the business. More details regarding customer services and product specialization could strike your head while collecting the details of others’ products. Therefore, testimonials not only bring benefits for the native enterprise but you as well. 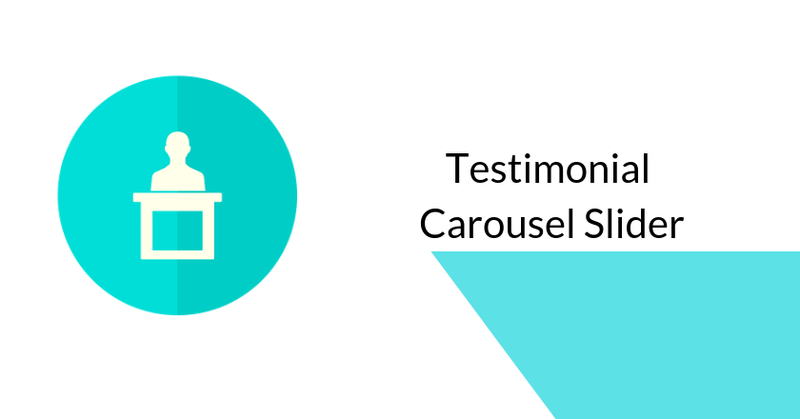 How to create a testimonial carousel slider in WordPress? Having discussed the advantages of adding testimonials on your website, let’s dive right into the steps of inserting an image slider to display these testimonies. Following steps will let you add a testimonial carousel slider that can effectively demonstrate the authentications you want to showcase on your site. The first thing you need to do is to choose a suitable testimonial carousel slider plugin for your website by comparing various available options. Once you select which plugin to go for, simply download it by purchasing the plugin, if it’s the premium one. After finishing the download, you need to upload the file to the dashboard of your WordPress. Find the option of “Add New” and click on it. Now select the button for Upload Plugin. Go to the “Choose File” button and select the previously downloaded plugin file in your system. Once you’ve installed the plugin and it gets activated, you can readily create an image slider with its help. Go to the slider plugin menu present on the dashboard of your WordPress website and then select the option of “Add New.” This step will help you create the testimonial carousel slider that you can use to add the testimonials to your site. However, you may also have to customize this newly created slider so as to match the website prerequisites. After successfully creating the slider, it’s time to customize it in order to give it a decent appearance on your website. A lot goes into the customization process as you can adjust almost everything you want related to the slider you’ve created. Start with giving it a unique and catchy title along with adding relevant information regarding the same. You can also include media files in order to improve the overall appearance of your slider. Choose a suitable location on your website for the slider and voila, your site now has testimonial carousel slider, and you can choose what all to include in it. Testimonials are the best way to let the customers know the products and services provided. No one wants to spend their money on products they don’t know anything about or which has no reviews- testimonials bridge that gap. However, you should consider the following points while adding testimonials on your site. The idea here is to put the experiences on sale. Thus, a testimony with a picture would create a better impact on the minds of the website readers. A written testimonial comes out as a rather dull account and leaves the readers skeptical about the situation. Written testimonials are rather useless as they occupy a lot of space which no one reads. You can get your images optimized which will help in better navigation through the site. Moreover, adding image testimonials will considerably improve the appearance of your website. These prove to be way more effective by providing a better-personalized experience of what you’re trying to sell. There are several stock photos available online, and you need to understand that adding a made-up quote to claim a true testimony is unethical. While in videos, you can very well see a real-life customer checking the product effectiveness and testifying it. Moreover, you can easily add videos to the slider by choosing the media files from your system and including them in the slider you have created for your site. It doesn’t matter what you decide amongst an image or video testimony, but what matters is the appropriate placement of these on the site. The way any testimony is placed should be functionally sensible so as to get the most effective outcome out of it. You can also provide the testimonial with their own separate page on the site, which is linked with the main page on navigation. Apart from this, you can choose to display them on the landing page of your website so that any viewer can get to see them as soon as visiting your site. Lastly, you need to consider the tone of the testimonials you are going to publish on your website in order to ensure that they don’t seem biased in any way. Also, you need to ensure that the tone of testimonials is chosen in a way that any visitor feels compelling to use your product or services. Having image sliders can provide a catchy appearance to your website along with establishing trust among the new viewers landing on your site. The main objective behind using the image sliders and videos as the testimonials is to make the content rich. So, make sure that your content is eye-catching and appealing to the eyes of the visitors. You can also accompany it with good quotes or pitches to the visitors which will make them curious to make a move and understand how the product on sale is going to blend with their life like it was always theirs to use. All in all, testimonial carousel can provide your website with significant advantages that can lead to a boosted sale and better customer relationship. Along with this, having a dedicated carousel slider for testimonials can showcase the brand image of your business by letting your potential customers know about the quality of products and services you are offering. You can use this guide to effectively add these sliders to your site and have a compelling image in front of the visitors of your website.